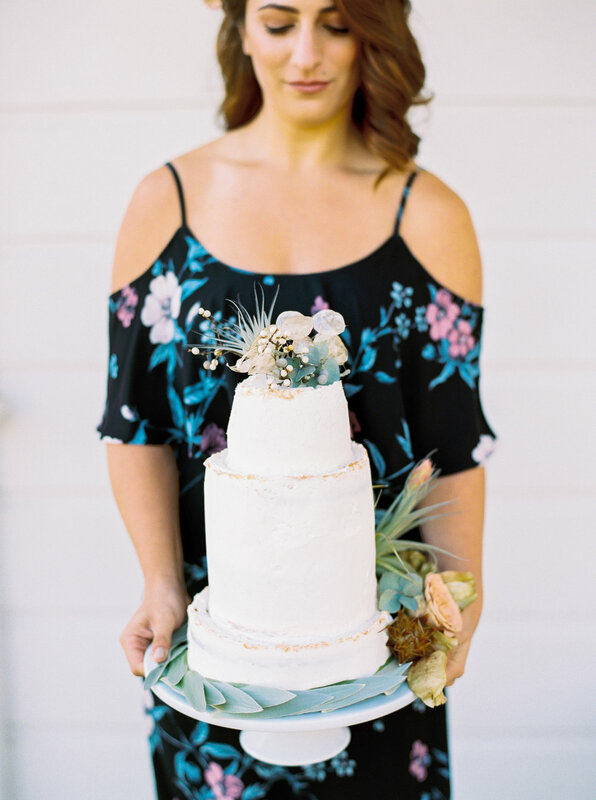 It was such an honor to plan the styled shoot for the unveiling of the new collaboration bridesmaid dresses by Green Wedding Shoes and Show Me Your Mumu. 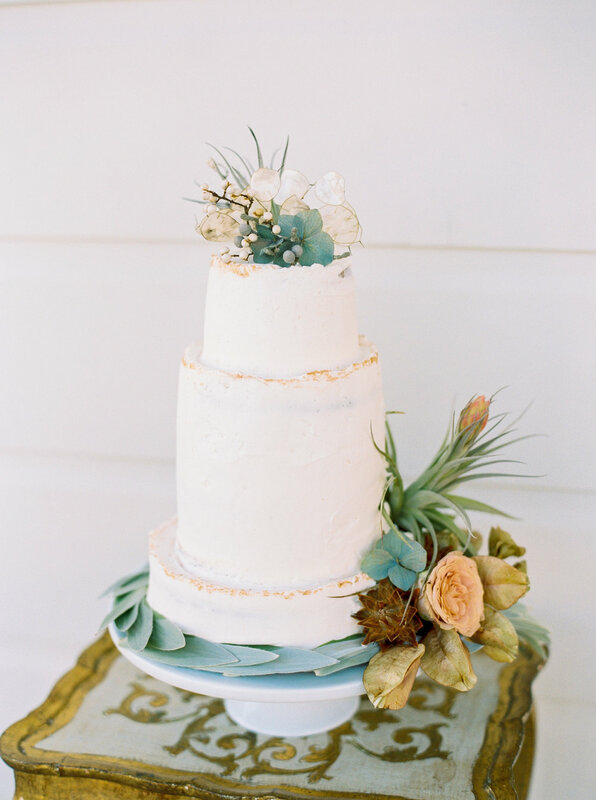 Green Wedding Shoes has been one of my favorite wedding blogs for the past 3 years, and when they reached out and asked if Danielle Poff Photography and I would be interested in teaming up for this, there was no way I was missing out! 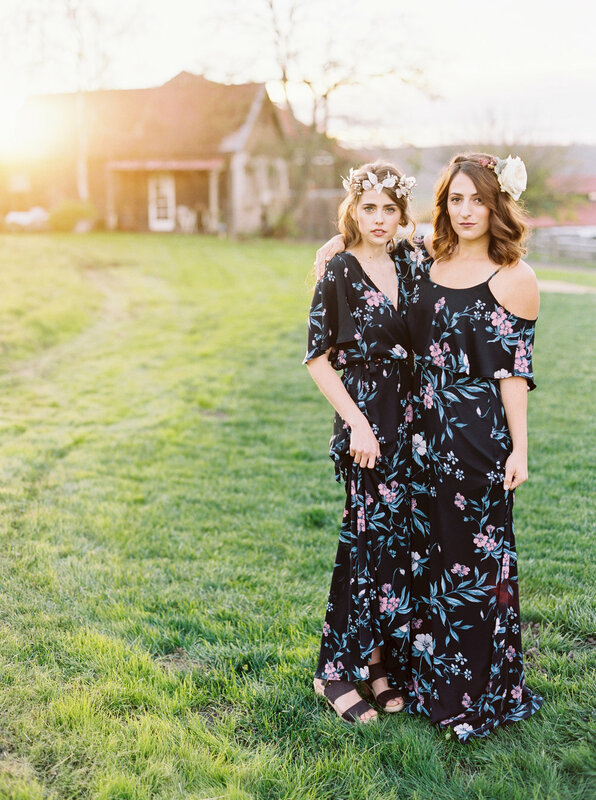 Show Me Your Mumu makes all sorts of wonderful clothing, and most of all - chic bridesmaids dresses. 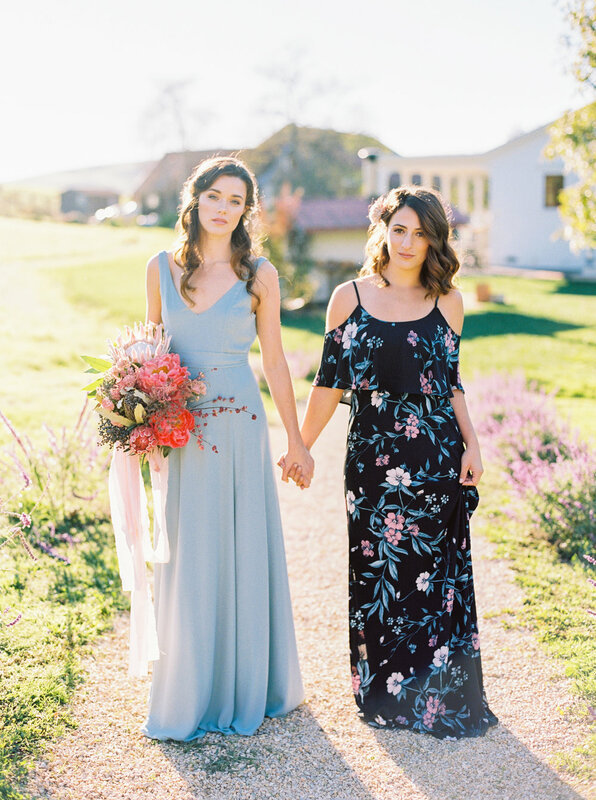 You know, the ones that bridesmaids actually want to wear. Each season Green Wedding Shoes pairs up to design a new print for their collection. 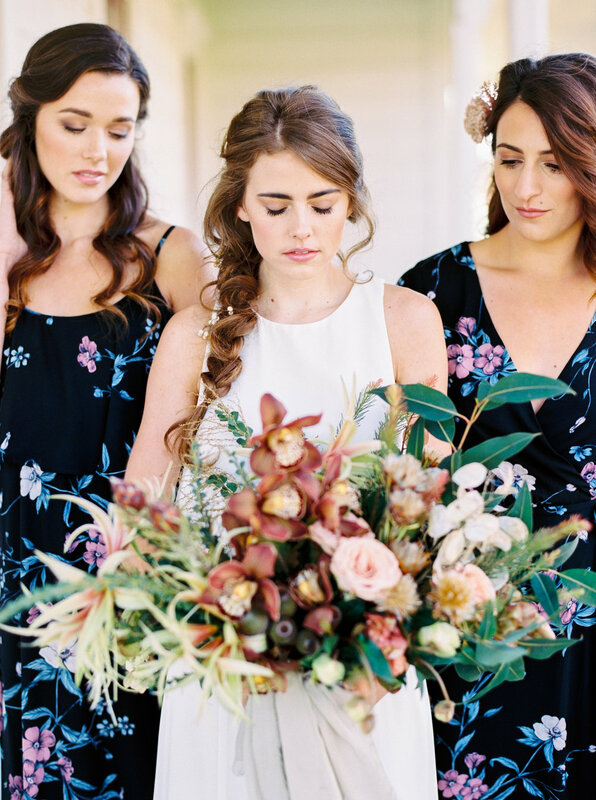 This fall/winter print that we showcased was inspired by dark florals and uses some of the most popular wedding colors - blush, rose, sage and ivory. 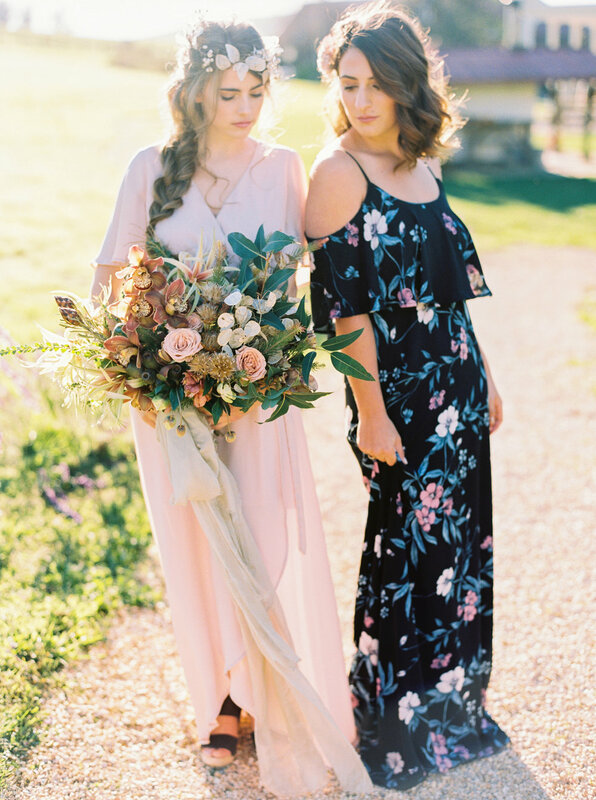 I am in love with the print and can't wait to see bridesmaids rock these in 2017! 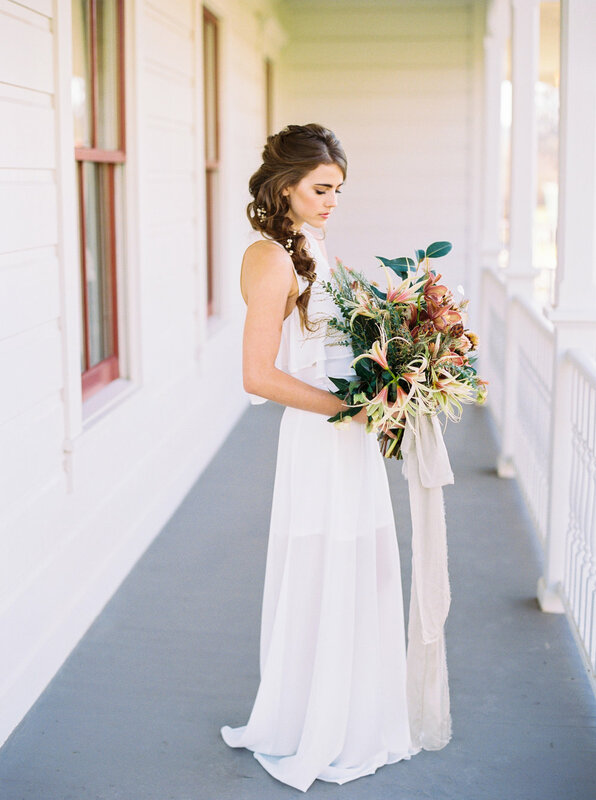 Hope you enjoy the photos as much as I enjoyed planning the shoot at the beautiful Olympia's Valley Estate in Petaluma!